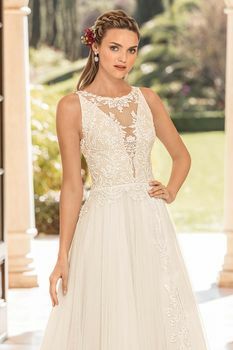 Eloise is a slim A-line gown with an illusion jewel neckline featuring a plunging panel in the front. 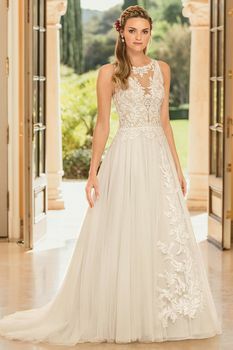 The stand out feature quite literally is an illusion slit that is uncovered across the side of the gown, creating a swirling length of floral lace to interrupt the soft tulle skirt. 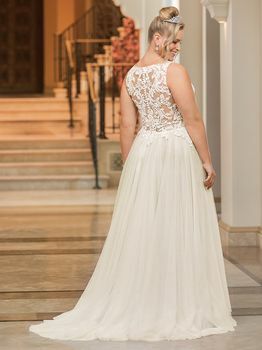 The sheer illusion lace back is finished off with a row of buttons.